Now I want a hotdog, LOL. Congrats. Thanks for your congrats DMo. 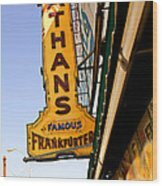 I haven't had a hot dog in years so maybe it is time to stand on that long line at Nathans. See you there. Congratulations Madeline! A good weekend at FAA! Frank, your supportive comment is so nice. It was a nice weekend despite this cold weather. Thanks, Bill, for your support!! Thanks, Frank, for that info. I need to revisit it soon. The newer in on the boardwalk was not busy last week when I was there. But I don't eat hot dogs at 10 am! Thanks Frank! Wouldn't be nice to have one of those dogs and fries right now? I wonder how many people are standing on that line as I write this. Jeff, I am glad this photo stirred Brooklyn memories. The taste of the dogs and fries still lingers for me. Mustard please! I love lots of fond memories growing up in Brooklyn. 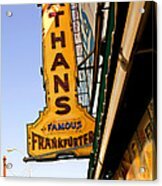 Going to Nathan's is one of them. Thanks for your recent comment. Thank you so much, John. I am delighted that you enjoyed my other photos as well. Chris, thanks for your cool comment. Anne-Elizabeth, thanks for your nice comment. I am only sorry it took so long for me to respond. Your photos are just wonderful! love this too! Has to be historic! Thankyou again for your nice comments. Susan, thanks for looking at my photos and your wonderful comment. This photo has sold a number of times at Art Gallery and Fine Art America. 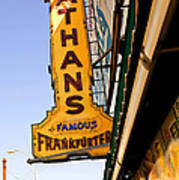 It is the marquee for the first Original Nathans. 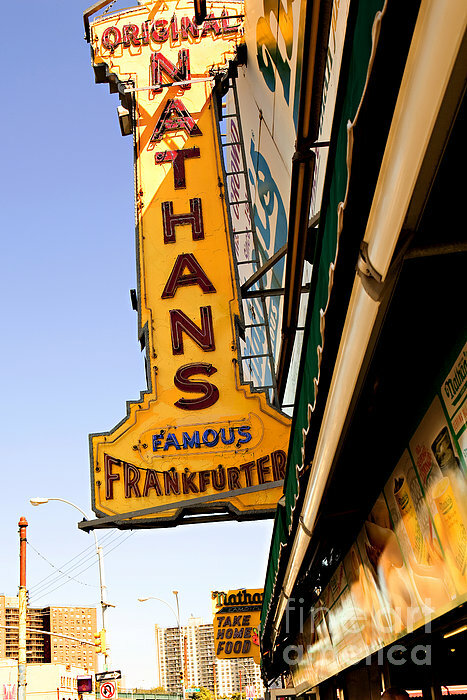 Nathans Original is located on Stillwell Avenue in Brooklyn, New York. I remember the excitement I had as a child waiting on line to get the tasty hot dogs and delicious french fries. 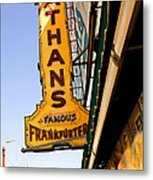 My husband, who grew up in New Jersey, had little understanding of the Nathan's experience. When confronted with the long line, he refused to wait. The most I could do was take this photograph and remember.